With over thirty years in the real estate and lending industry, I am passionate about providing you with extraordinary service and offering an unparalleled professional, yet personalized, approach to exceed your expectations. In addition to my years in real estate sales in our area, my background in a real estate law firm and mortgage lending/banking enhance my knowledge of and ability to work through ... more.the complex transaction processes from start to finish. My in-depth experience of working with seniors provides me with an understanding and appreciation of the effects of aging, which allows me to assist with lifestyle transitions into retirement communities. Buying and selling real estate is not just a transaction – it is about a relationship, a relationship in which I strive to gain your trust and earn your business, both of which I hold with great honor. Doing business with integrity - with you, as well as my peers - is of utmost priority. Whether you are buying/selling your first home, a seasoned buyer or seller, or transitioning into retirement living, my goal is to ensure you are grateful you called “The Wright Real Estate Connection." My family and I cannot thank Judy enough for the way she helped us, and the way we were treated during the process of selling our home. To us, she was like one of our family doing the job. She always explained everything very thoroughly and on a level which was easy for us to understand. When we had questions or needed help, she provided answers for us. Judy was very knowledgeable, professional, courteous, and helped us any way she could. My family and I would highly recommend Judy to anyone wanting to sell a home. 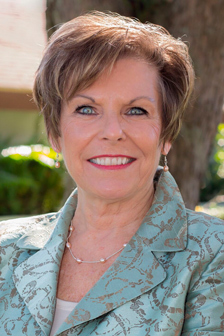 Should I need real estate help in Florida, Judy Wright will get the call. If I could give Judy six stars I would. She is super-responsive, extremely knowledgeable, respectful of everyone involved in a transaction, a great collaborator....all in all just a delight to work with. You could not do better. "Thank you again so much for picking us up for the closing and returning us home....You did a wonderful job selling our home, and we appreciate you so much. Thanks again for everything. Fondly, Donna & David"